Recently, ZENITH has received a gratitude letter from one customer regarding the 1st anniversary of operation of production line. In this letter, the customer thanks ZENITH for its product and uninterrupted service support during operation and hopes to build a closer cooperation relationship with ZENITH in future. 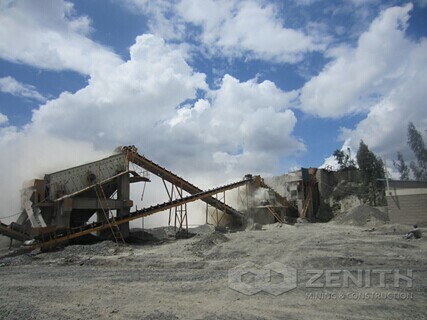 It is reported that this Nigerian customer bought one crusher production line from ZENITH last year. This production line, which has been producing since its commissioning, had gained considerable profits for this customer. Meanwhile, for the occasional problems occurred during operation, the personnel of ZENITH Nigerian Office would go to the site to coordinate and find out a solution immediately after receiving feedbacks from this customer. “In the first year of operation, this customer successively placed several orders for accessories. The personnel of ZENITH Nigerian Office often visit this customer, and thus a deep friendship has been established between us.” Harvey of ZENITH International Trade Center introduces.